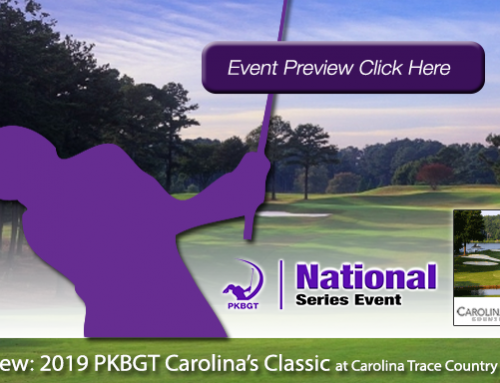 On Saturday-Sunday, March 30-31, the Peggy Kirk Bell Girls’ Golf Tour plays the 2019 Palmetto Classic at Furman University Golf Club in Greenville, SC. In the second of two National events, the PKBGT takes on the Palmetto state for an intense weekend of competition between the top talent of the south. The fourth collegiate course in as many weeks, the Tour completes its campus tour at the home of the Furman University Women’s Golf Team. The Furman University Golf Course will test the girls on a Division 1 level, a challenge for each of the 83 players in the field. With a deep, strong field heading to Greenville, SC, it will take a stellar performance to come out atop the leaderboard. Players will compete in one of two divisions: the Bell National division at 5,903 yards and the Futures National at 5,100 yards. With one last chance to move up in the PKBGT rankings before the calendar turns to April, we take a look at the players to watch at the 2019 Palmetto Classic! Guess who’s back? Back again. 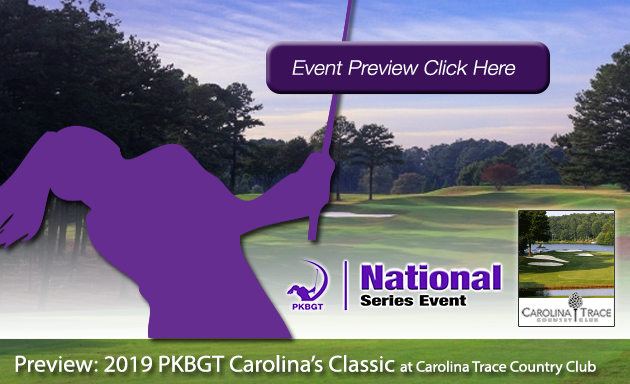 Anna Morgan (Spartanburg, SC 2019) returns to the PKBGT in her first appearance since the Tournament of Champions in January, headlining the Bell National field of 51. Morgan will call Greenville home come the fall, beginning her tenure as a member of the Furman University Golf Course. Ranked third on the PKBGT Performance Index and seventh on the Bell National Order of Merit, Morgan looks to keep her streak of Top Finishes alive. She won the PKBGT Invitational in November and followed that performance with a second place finish at the Tournament of Champions. 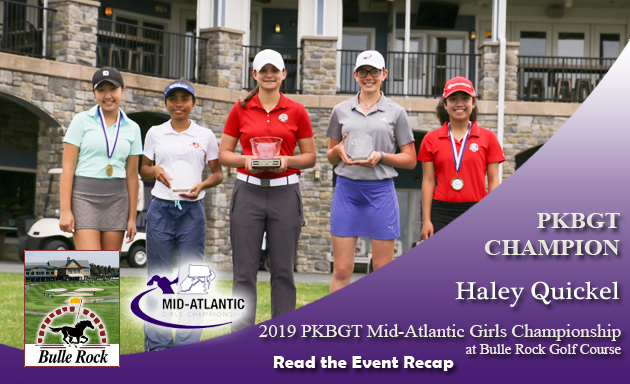 Morgan’s Spartanburg sister (okay, not really her sister), Mary Kathryn Talledo (Spartanburg, SC 2021) is still feeling the rush from her win at the 2019 PKBGT Spring Invitational last weekend at The Links at Stoney Point. Talledo’s victory helped move her into the Top 40 on both the Performance Index and the Order of Merit, ranked 39th and 40th respectively. 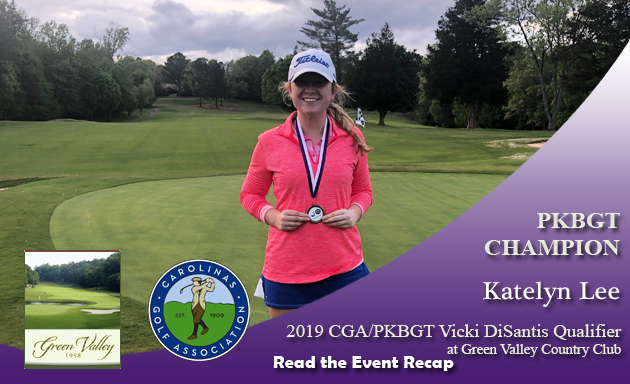 She hopes to remain at the top of the leaderboard with her fellow Spartanburg native with another robust performance at Furman University. The third player in the field to bring home a championship on the 2019 campaign, Kimberly Shen (Johns Creek, GA 2022) hopes to repeat the success she found at Clemson University in February. Shen won the 2019 Orange Whip Classic that weekend and followed it up with a T4 finish at the RocketTour Player’s Championship in Athens, GA. She is currently ranked 33rd on the Performance Index and 19th on the Order of Merit. Sara Im (Duluth, GA 2023) is searching for her first win of the season. 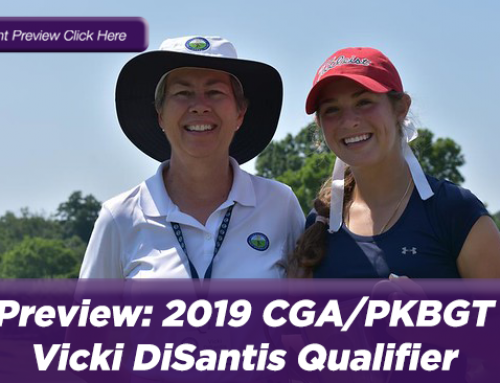 She has been just one step behind on several occasions, with three Top 5 finishes including back-to-back runner-up efforts at the Orange Whip Classic and the RocketTour Players Championship. Im is ranked 18th on the Performance Index and enters the tournament as the top-ranked players on the Order of Merit in the field at second. Inside the Top 10, Chloe Holder (Williamston, SC 2021) is currently ranked sixth on the Order of Merit. With a T2 finish at the Orange Whip Classic as her top performance of the season, Holder has two more Top Ten finishes to her name. Sitting in 12th place on the Performance Index, Holder looks for a quality weekend in Greenville to push her into the Top 10. 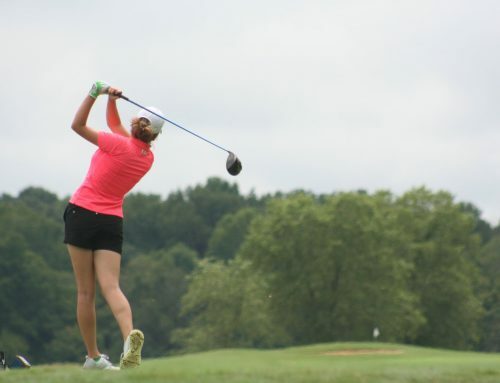 Coming into the Palmetto Classic in second place on the Futures National Order of Merit, Grace Ridenour (Cary, NC 2025) has three Top Five finishes in her 2019 season. 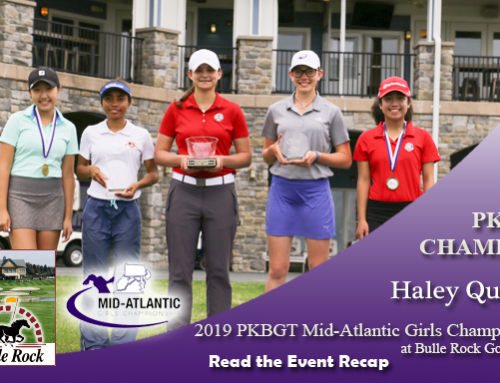 After winning the Palmetto Dunes Resort Classic in November, Ridenour had a T4 finish at the PKB Junior and a second place finish at the PKB Foundation Classic. A win in Greenville could place Ridenour at the top of the Order of Merit. Braelyn Pippin (Waxhaw, NC 2020) is currently ranked fifth on the Futures National Order of Merit rankings. 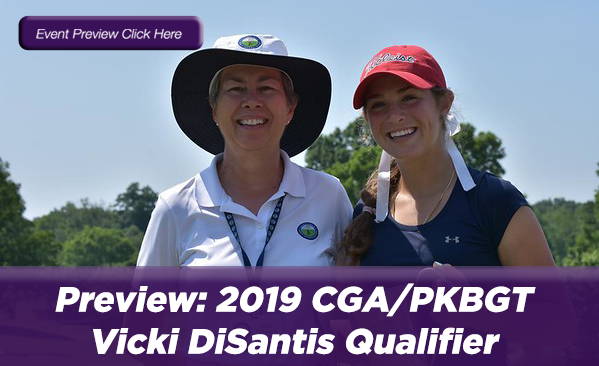 Pippin competes in this weekend’s 2019 Cape Fear Classic, her first full tournament back since a season-best second place finish at the RocketTour Players Championship. Pippin was forced to withdraw from her last tournament at the 2019 Tar Heel Classic due to injury. Rounding out the players to watch in the Futures National field of 32 is Kinsley Smith (Raleigh, NC 2024). Smith enters the tournament ranked seventh on the Order of Merit. Her top performance of the season came in November with a fourth-place finish at the Palmetto Dunes Resort Classic. 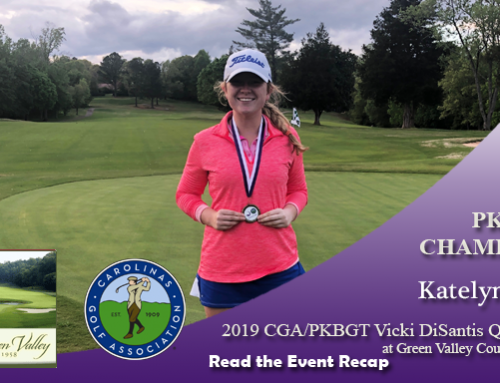 She finished T7 in her first appearance in the North Carolina Regional Series at Longleaf Golf and Family Club last weekend. 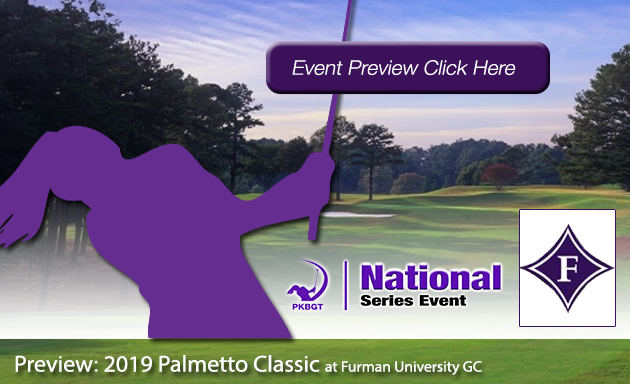 We wish all of our competitors at the 2019 Palmetto Classic the best of luck. A fantastic opportunity to move up in the rankings, the high-level challenge of the Furman University Golf Course promises to provide an exhilarating weekend of competition!